An artist's impression of the proposed Auckland light rail project. That's the message from Auckland Council in a submission to the Productivity Commission where it has outlined its concerns about funding for the Auckland Transport Alignment Project (ATAP). The project had originally been announced by the previous National-led government in 2015, but following the 2017 election the new administration called for a review of ATAP to fit its new priorities. Under the new revised project, which was announced in April last year, the government was going to work with the council to deliver a comprehensive programme to address the city’s transport needs. Government departments and agencies involved include the Ministry of Transport and the NZ Transport Agency (NZTA). The ATAP package contains around $28 billion worth of investment in transport projects over the next decade. The report outlining the proposal last year says this is based on “planned and assumed funding”, including an expected increase of $4.6 billion on previous funding plans from the following sources. An additional $2.8 billion from the National Land Transport Fund, $1.5 billion from the proposed Regional Fuel Tax and $360 million from Crown Infrastructure Partners. Projects covered by the package include the City Rail Link (CRL), Auckland’s light rail project, a new Eastern Busway from Panmure to Botany, the East-West Link, as well as improvements to the Northern Corridor, Southern Corridor and new developments like Penlink. But after the roll out by Auckland Mayor Phil Goff and Transport Minister Phil Twyford last year, it appears the Auckland Council is now asking some questions about the funding. According to the council’s submission there seems to be a mismatch between the government's plans and exactly where the money's coming from. "In conjunction with the introduction of additional funding from the regional fuel tax the council and government agreed on a package of transport investments through the Auckland Transport Alignment Project (ATAP). The joint ATAP announcement identified the funding sources for the package of projects. “This funding package was identified, however, at a high level and how individual projects would be funded was not specified. The current settings of both co-funding levels and qualifying activities in the Government Policy Statement on Land Transport (GPS) are not sufficient to support the funding set through ATAP. Additionally the timeframe for business case approval means that the council cannot plan in advance for NZTA funding with any certainty. Greater flexibility around budgeted funding is needed, reflecting the developing trust between council and government. 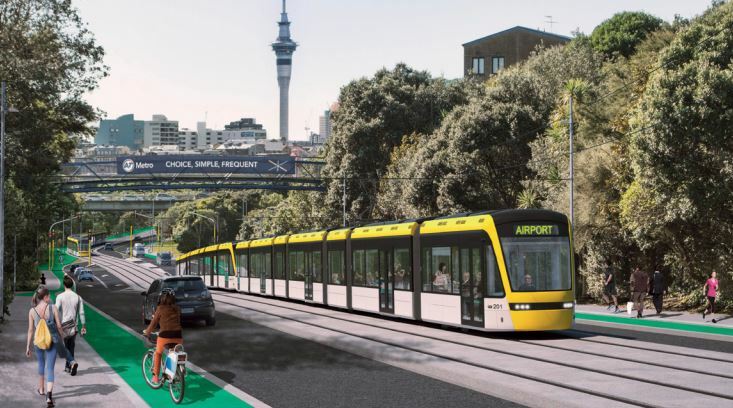 A number of the major projects at the heart of the ATAP programme have been beset with issues, with reports of a $500 million to $1 billion blowout in the CRL project's budget and delays and question raised over the business case for the Auckland light rail project. While the future of the on again off again East-West Link remains a work in progress. “Unfortunately, ongoing corporate restructuring at NZTA, coupled with a subsequent move to pull regional decision-making back to head office, has stalled many regional projects that are needed to open land for development,” Cull said. In response the NZTA said that the Government Policy Statement on Land Transport (GPS), which was adopted in June 2018, sets out the Government’s strategic direction for the land transport over the next 10 years. It said it included increased funding and is designed to direct the NZTA’s investments through the National Land Transport Programme (NLTP). “Local Government has responded positively to the GPS direction, submitting a large programme of activities in each activity class to be considered for funding support through the NLTP. While the GPS provides increased levels of funding, demand is also very high, and funding is not unlimited. The NZ Transport Agency is currently working on the prioritisation of a number of projects and establishing what can be realistically funded under the NLTP. The Productivity Commission has been carrying out an inquiry into the financing and funding of local government in New Zealand. Submissions on the commission’s issues paper closed on February 15 and it is expected to release a draft report on the issue in June before presenting its final report to the government on November 30. Transport Minister Phil Twyford was unavailable for comment for this story with his office saying he was busy in the aftermath of last week’s terrorist attacks in Christchurch. And the NZTA was unable to provide us with a comment regarding the Auckland Council submission. In layman terms: "Where's the money going to come from. We can't afford it." It's a pity we can't fund infrastructure like Japan or Singapore. Ah! That makes sense now. A restructuring of NZTA back into a 20th Century Head Office approach. Now I know why things have ground to a halt at Bayfair/Baypark. The socialists are back in charge. Yes and so much was achieved when they were not in charge? Ahh...Waterview that Clark signed off on and Joyce and others on the right (including Bill English's brother) tried to stop, at first. Should not forget either that Bridges was in favour of the East-West connection without a business case that stacked up. Real life suggests both parties have their successes and faults. So they have "concerns " ...............Well blow me down. The problem with both the Phil's are (is ) , they think money grows on trees. But what can we expect from anyone who has never had a real job ? The hapless Transport crew have ignored the first rule of budgeting: nail down the Revenue....and now the assorted clown-shoes are holding a Blame Circus. If you have witnessed the absolute disaster in Central Auckland they have engineered it only takes a nanosecond to realise how useless Auckland Council are. I now have to drive in rather than catch the bus. How stupid is that? Given the huge growth in PT trips into the city centre, and the flat number of vehicle trips, yours is a minority view. If you must live in Auckland, you have to pay the bills for it. Should not be a problem in (what we are told) is the economic powerhouse of New Zealand. Cool. Pay us back for the ChCh rebuild, our share of the Kaikoura repairs and the Wellington insurance premiums we've underwritten at a national level despite having significantly lower regional risk first. We can't afford it because the richest people, the landholders pretend that the rates burden of approx. 0.3% is too high. Rates in Auckland as a percentage of property values are the lowest in the country. Just increase the damn rates. If you want to improve everything levy them at 1% of land values only. But property values don’t set the overall rates funding requirement. I agree with increasing rates though, Auckland Council are heavily in debt so it would be a great idea if rate payers started paying this debt down. Land values do affect the cost of everything else in society, it's a fundamental of economics. Rates need to be indexed to land values. Ocelot - if I had to pay 1% land value rates my bill would go up from 4500 to about 17500, thus I would have to curtail $13,000 of consumption .... how do you think this would effect the economy ? Well if AT staff are good for nothing then It must have been the fairy godmother then that organised the upgrade of my bus to a double decker to cope with the number of passengers and congestion at the stops. Same for every CCO and the council itself Boatman.